The 2018 National Smokey Bear Awards were recently announced and Fred Turck (wildfire prevention program manager), along with other prevention specialists from the Mid-Atlantic Forest Fire Compact, were awarded the highest honor, the Gold Smokey. This award program is sponsored by the U.S. Forest Service, the National Association of State Foresters and the Ad Council. Since 1957 this prestigious award program has recognized organizations and individuals for outstanding service of at least two years with significant program impact in wildfire prevention at the national level (Gold), multi-stale level (Silver) and statewide level (Bronze). These awards remind us of the hard work done to reduce the threat of unwanted human-caused wildfires. 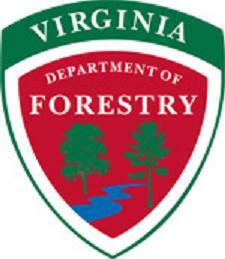 “Our Virginia Wildfire Prevention Program has been a National Leader for most of Smokey’s 75 years, and I am truly proud to be part of this organization and the overall Smokey program,” stated Fred. “To now be part owner of a Team Gold Smokey makes me even more humble to have been recognized at the Gold level for the second time.” Fred and another VDOF employee, Ed Roger, are only two of three folks who ever received all three awards — Bronze, Silver and Gold. Now Fred is the first individual to have received two Gold Smokey Awards. The Ad Council as an agency received the Gold Award twice but Fred is the first individual to have been so recognized.